Making the Change the World is Waiting For! Effectively Treating Patients Who the Medical Community Has Failed Or Given Up On, By Practicing the Medicine of the Future, Today! Patients seek help and treatment from the Center for Advanced Medicine and Clinical Research from all over the world. 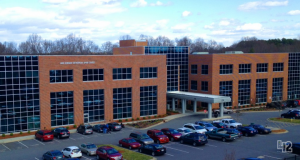 Welcome to The Center for Advanced Medicine and Clinical Research in Cornelius, NC which specializes in addressing the needs of patients suffering from Chronic Disease, “Treatment Failures”, “Difficult to Diagnose” conditions, Cancer, Autism, Cardiovascular Disease, Neurodegenerative Disease, Environmental Toxicity, Heavy Metal Toxicity, Chemical Toxicity and Metabolism Disorders. We also have a special interest in Preventive Medicine, Longevity Medicine and Performance Enhancement. Medical Director, Dr. Rashid A. Buttar, is a graduate of the University of Osteopathic Medicine and Health Sciences, College of Medicine and Surgery. He trained in General Surgery and Emergency Medicine and served as Brigade Surgeon and Director of Emergency Medicine while serving in the U.S. Army. Dr. Buttar is board certified in Clinical Metal Toxicology, Preventive Medicine, is board eligible in Emergency Medicine and has achieved fellowship status in three separate medical societies. We offer 59 different IV Therapies oriented towards the principles of detoxification and immune modulation including heavy metal chelation, oxidative therapies, nutritional IVs, and many other treatments that detoxify and enhance the immune system. Our treatments are so effective that even the North Carolina Medical Board is trying to suppress the truth. For more information about that, visit DrButtarTruth.ORG.